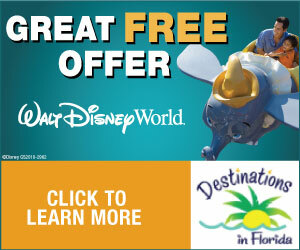 We received press tickets to visit Aquatica, a in Orlando, a park that combines marine animal interaction and water park. However all opinions are sincere and are my own. 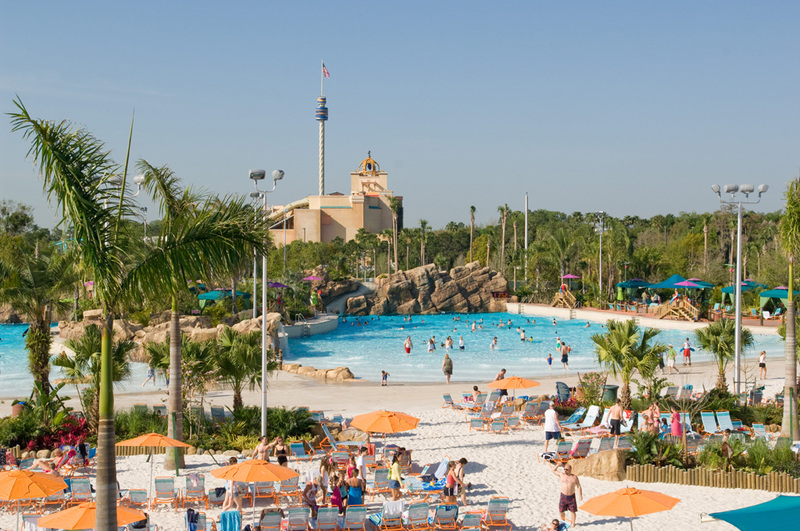 When it comes to vacationing in Orlando visiting a water park is a must. But with so many options how do you choose the best one for your family? 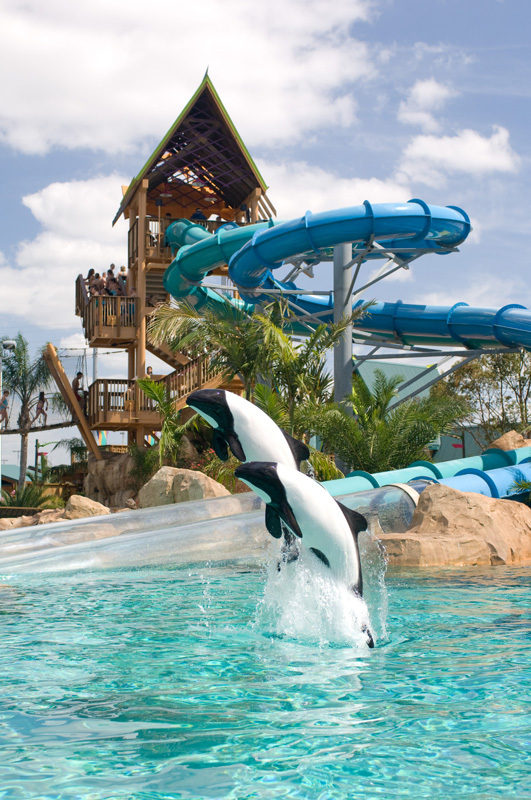 For us the choice was obvious, Aquatica is unique among other water parks because it combines animal interaction and fun water slides. 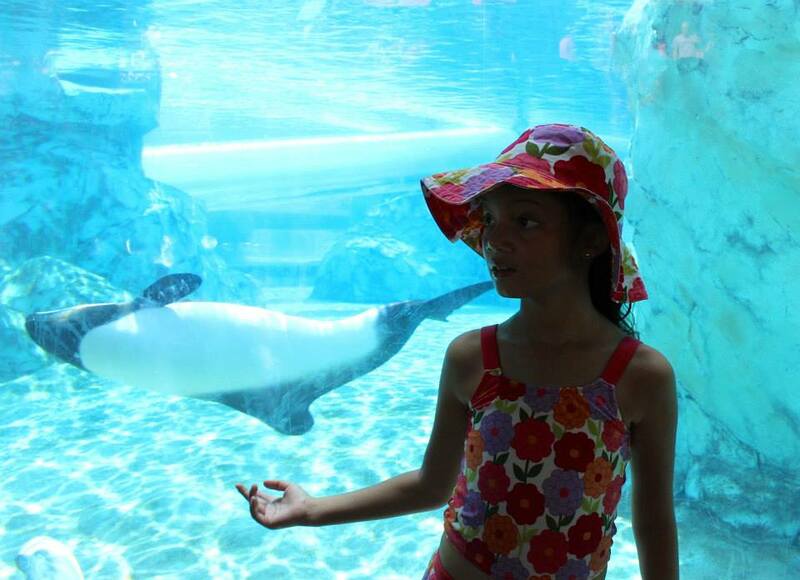 My kids love animals, specially my daughter who want’s to be a vet when she grows up so for us a water park that also offers the opportunity to interact with animals really made all the difference. We also love the ongoing work that SeaWorld does towards conservation through the SeaWorld and Busch Gardens Conservation Fund. Aquatica is also a great water park for kids and for people who are not looking for wild rides and extreme thrills, yes that would be me. I thought it was great that both of my kids, 5 and 8, could enjoy most of the rides. Here is a run down of our favorite ones. 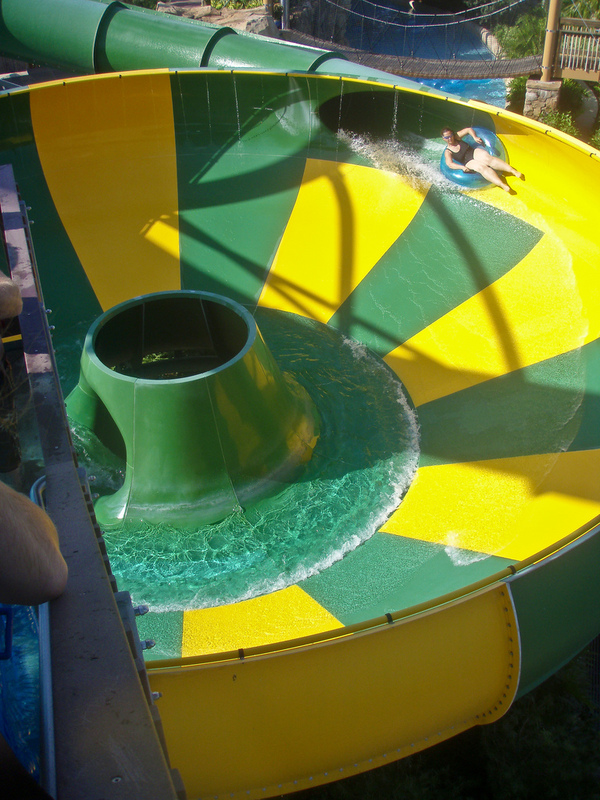 This is the most popular ride in Aquatica and it’s easy to see why. You slide down an enclosed tube that takes you underwater straight into the home of a group of beautiful black and white Commerson’s Dolphins. Even if you do not see the dolphins, which is really a matter of luck as you zip through the water quite fast and the dolphins are moving all around the pool and not always right next to the tubes, this ride is a lot of fun. You can not wear a life vest in this ride, so kids should be able to swim. Before you go under water a large section of the slide is dark which might be scary for some kids. Since this is the most popular ride it’s a good idea to do it as soon as you get into the park to avoid long lines. For the little ones who do not make the cut there is an area where you can view the dolphins and you can also see them from Loggerhead Lane. 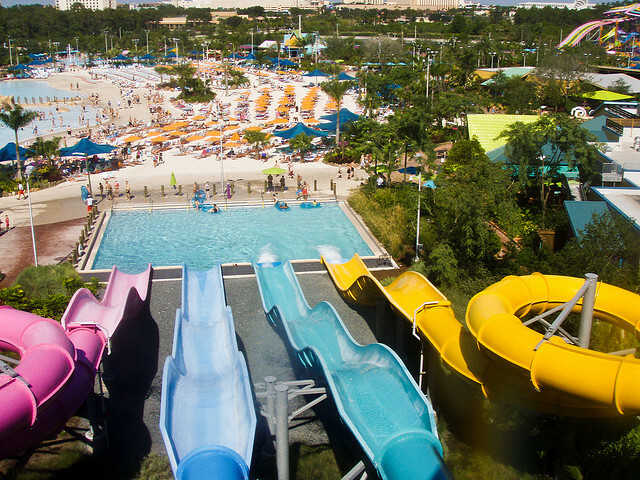 This water wonderland for kids is the ideal place to grab a beach chair and relax while the kids play in a water playground that spans 15,000 feet and towers 60ft into the air. My kids could have stayed here all day and I loved that all the slides and water fun happens in a pool that is very shallow so the kids can have fun and be safe without you having to chase them everywhere! If you want to grab a good spot with some shade make sure you arrive early. This ride the most exciting and thrilling ride we did with the kids. 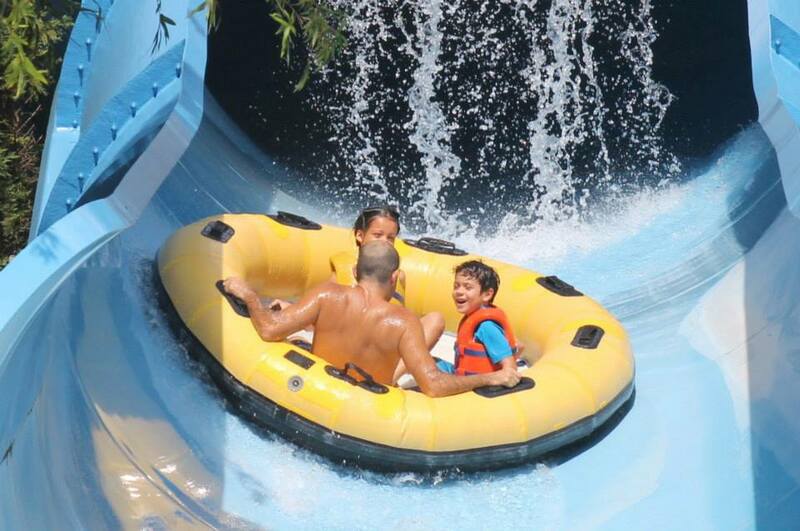 You zip through a make of exciting twists, turns and tunnels aboard a raft that fits one to four people. I really liked that we could get into a raft together. Being the protective mom that I felt my kids where safer with us right next to them. This was my 5 year old’s favorite ride and as soon as he got off he had to go again, my husband and daughter happily obliged and as they came rushing down the tunnel to where I was waiting with the camera I could hear their excited and happy screaming long before I saw them. This ride has a height requirement of 42″. This is a fast and thrilling ride, both of my kids are thrill seekers and they loved it but I saw a little boy who was about 6 or 7 who was crying and really scared. The rides goes fast and there is a long section that is completely dark. This wacky slide ride really caught my 5 year old’s interest since we saw it online before visiting the park. This was on his list of must do’s but I have to say that as a thrilling ride we all enjoyed Wallhalla Wave better. You can go down this ride in a single or a double tube, so each of the adults rode with a kids. 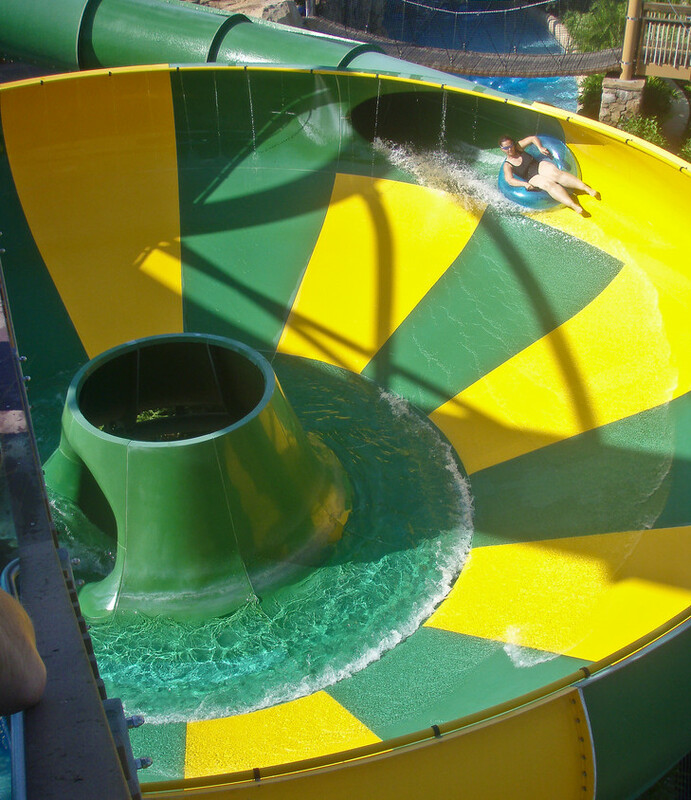 The tubes shoot down into what looks like a big bowl where you go round and round in circles until you reach the center. It feels a little bit like going down the drain and then you are thrown back into Loggerhead Lane. This ride has no height requirement but informs guests that they must be able to maintain proper riding position holding on to both handles unassisted. A kid may seem like he is ok when you get on but once the ride starts that is a different story. My daughter kept sliding down the middle so I had to hold her up with one hand for most of the ride which made it a bit uncomfortable. 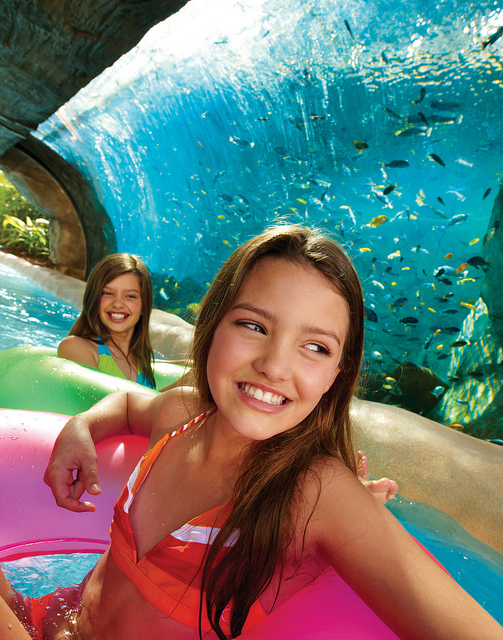 Loggerhead Lane is Aquatica’s lazy river where you can relax while you float around drifting with the current. What makes this lazy river really special is that there is a section where you can see beautiful and colorful fish and there is also another section where you can watch the Commerson’s dolphins as you drift float by. 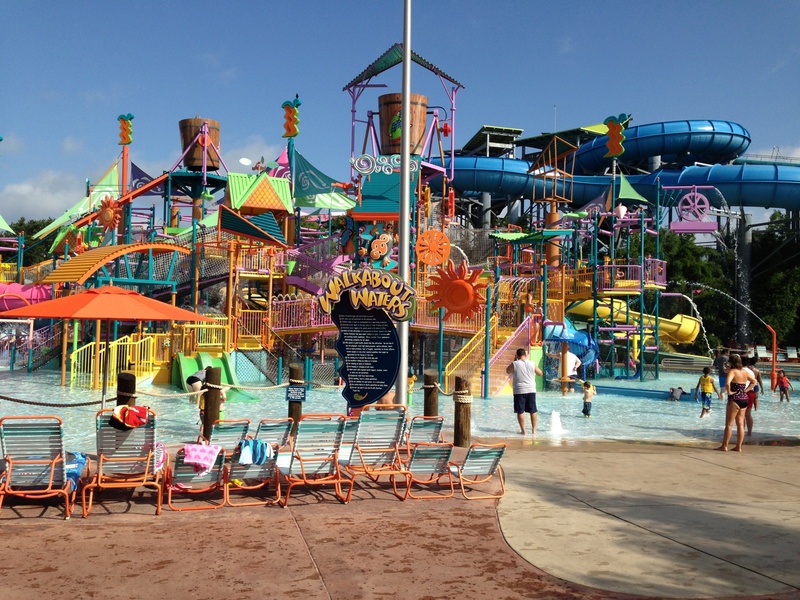 We really enjoyed our day at Aquatica and thought this water park had just the right balance of fun and thrilling rides for our family as well as having the added bonus of being able to interact with marine life. 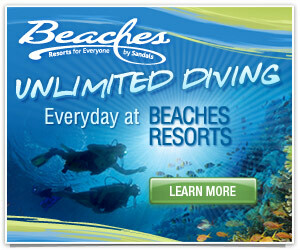 For more information visit to AquaticaBySeaWorld.com and connect with Aquatica on Facebook. Wow, that water park looks great. I need to plan a trip there. My girls would love it. They really enjoy being in the water. That Dolphin Plunge looks fantastic! I love Dolphins! WOW! We should have stayed long enough to make the trip. This looks like a perfect family vacation spot. What fun– great photos too! I have a 5 and 8 year old as well, and it’s good to know that they would actually be able to ride most of the rides. So often you worry about spending all that money and them not getting to do much. Thanks for the review! This looks like a lot of fun – great pictures! Beautiful and your pictures are amazing. I haven’t been to a water park in a long time but this one looks like so much fun. Looks like a lot of summer fun for the family! My grandson would have so much fun here!